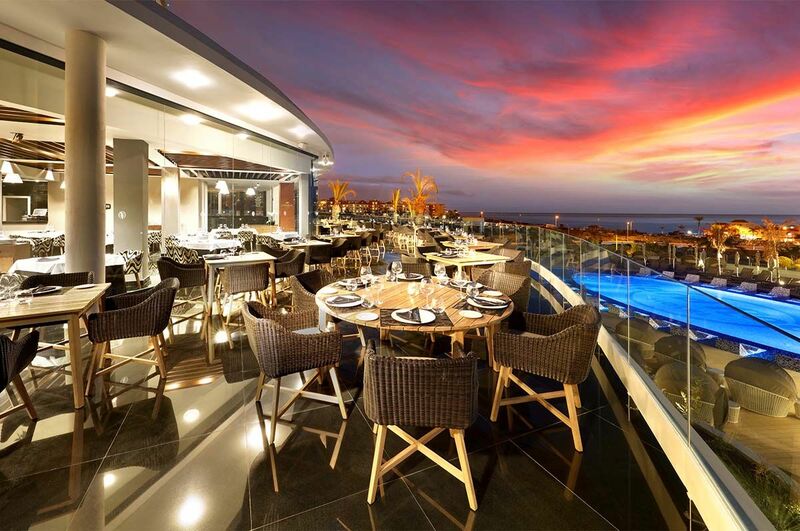 Vibrant music and entertainment, international dining, and a lively bar scene come together at the unique Hard Rock Hotel Tenerife. 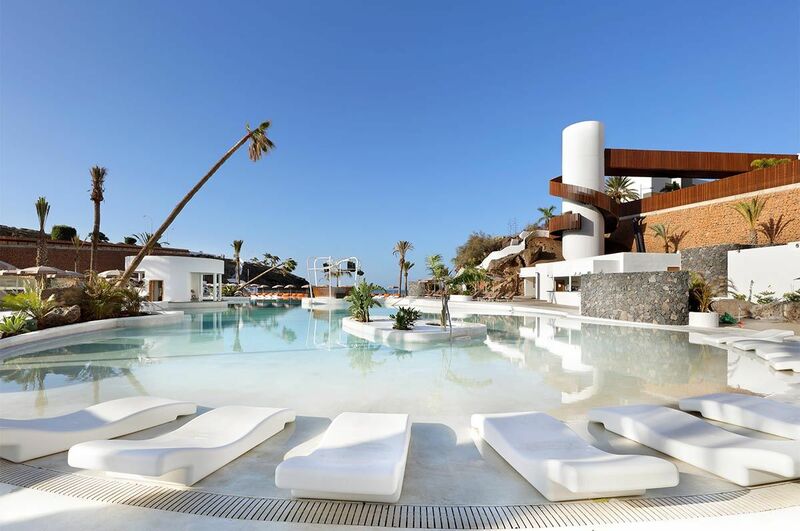 Add into the mix a sea-facing location in Playa Paraiso, chic guest accommodation, and a fantastic spa and pools and it's no surprise this Tenerife hotel is fast becoming a favourite with guests. By day, work on your tan by one of the trio of pools or enjoy top-to-toe pampering in the spa. There's fun for babies to teens at the age-specific clubs or you can get active with dance lessons and Zumba classes. Turn the amplifier up loud as you play Fender guitar in your room or relax and listen to your personalised playlist streamed direct to your headphones. 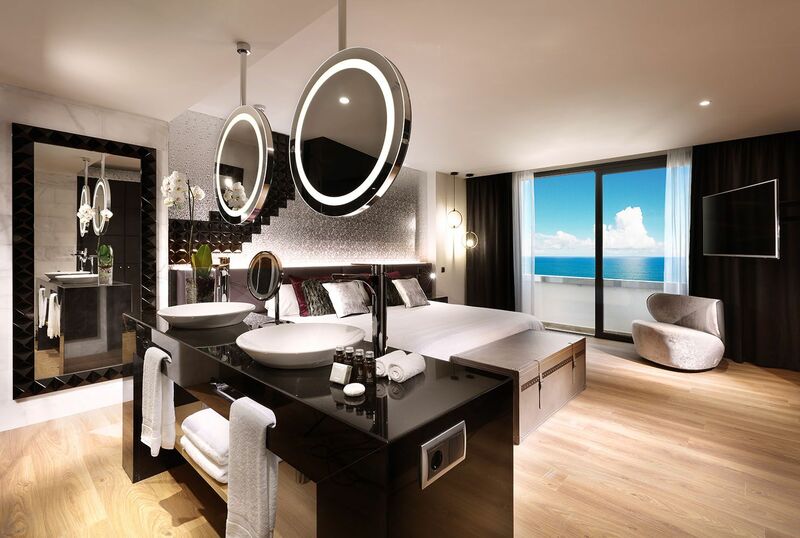 Where do we start with the rooms and suites? There's a rainwater shower in the bathroom, 300-threadcount sheets on the bed, complimentary Wi-Fi and breakfast, 43-inch flat-screen satellite HDTV, and bathrobes and slippers. Or you can upgrade to Rock Royalty level to enjoy enhanced privileges, VIP check-in, and the exclusive Rock Royalty Lounge. Feeling peckish? You've come to the right place - there's everything from Japanese snacks, Asian delights, and Mediterranean flavours through to steak and seafood served at the on-site eateries. After dark, enjoy family-friendly fun, live music, and professional shows alongside occasional themed events, party nights, DJ sessions, and live acts on the open-air stage. 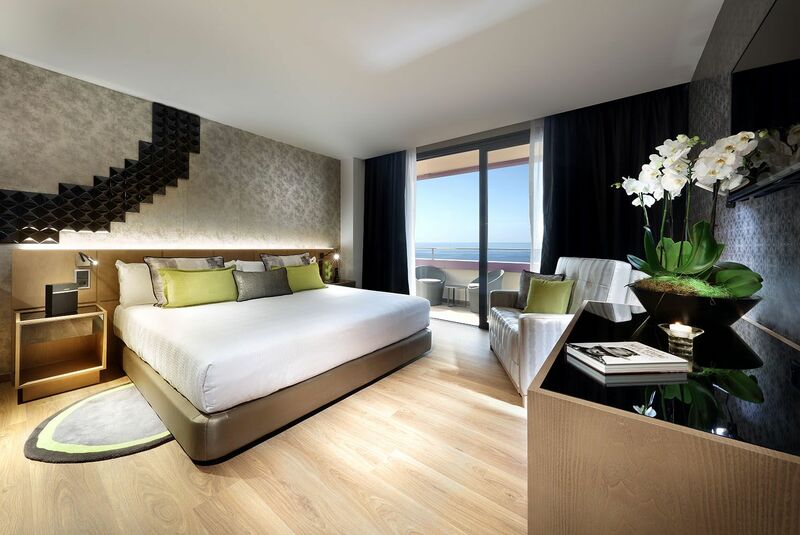 Hard Rock Hotel Tenerife is the perfect place for a lively holiday in Tenerife. Hard Rock Hotel Tenerife offers plentiful facilities, including: three outdoor swimming pools, saltwater lagoon, splash park, whirlpools, sun terrace with sun loungers, parasols, and complimentary towels, five restaurants, six bars and lounges, beach club, open-air stage, fitness centre, shop, clubs for babies, children, and teenagers, children's playground, 24-hour room service, and complimentary breakfast. The daytime entertainment programme includes guitar, DJ, and dance lessons, yoga, Zumba, and Fitball classes, workshops, and wine tastings. 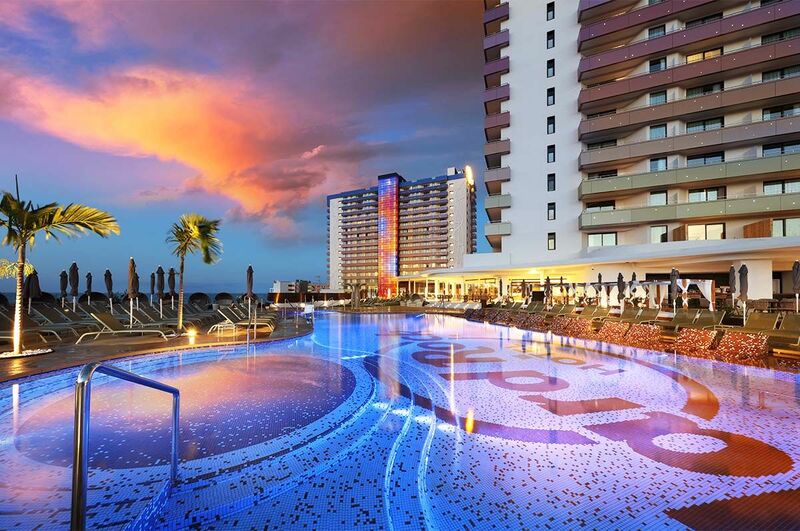 The Sound of Your Stay package lets you play Fender guitars in your room with headphones and amplifier, become a DJ with music controller and laptop, or have your personalized playlist streamed direct to you. Rock Spa offers treatments and massages, personalized music, spa tub, outdoor terrace, sauna, steam room, Turkish bath, hairdressers, and suite spa mini pool. 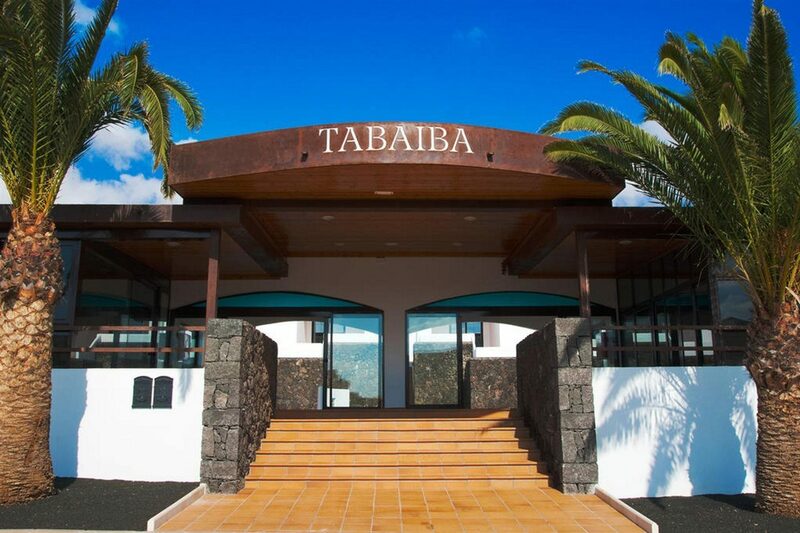 This Tenerife hotel has a total of 883 modern guest units, comprising 624 guest rooms and 259 suites. Deluxe rooms come with high-speed Wi-Fi Internet access, 43-inch flat-screen satellite HDTV, iPod docking station, minibar and wine cellar (selected rooms), kettle, ironing and laundry service, chromotherapy, 300-thread count cotton sheets, furnished outdoor terrace, king or two twin beds, bathrobe and slippers, telephone, air-conditioning, hairdryer, bathroom with rain-effect sensory shower, and safety deposit box. Serve-yourself international delights are available from 07:30 to 11:00 in Sessions restaurant. 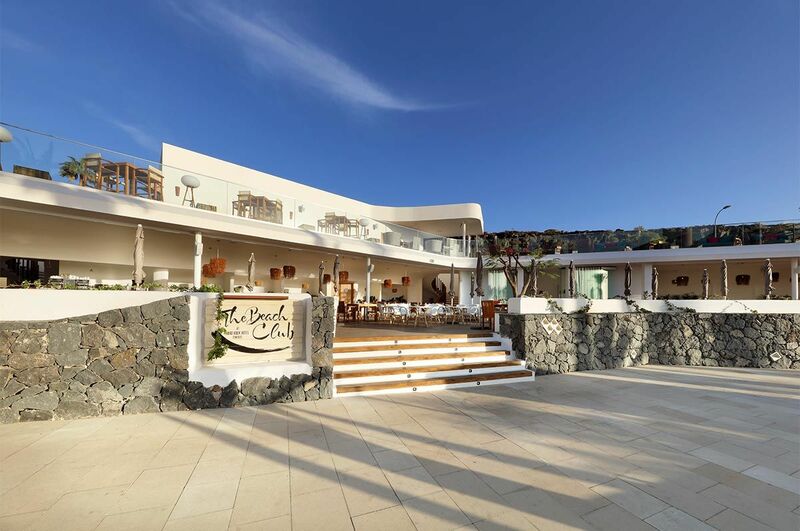 Eco-friendly and healthy meals and live music set the scene in The Beach Club. 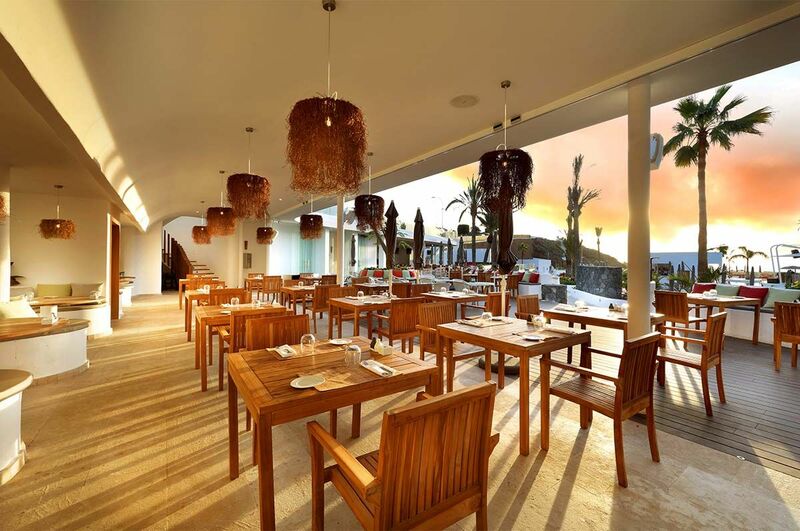 Montauk eatery is a haven for freshly-cooked steaks and seafood, side dishes, and the finest wine and champagne. Tuck into freshly-prepared Japanese snacks and Asian specialities in Narumi or sample Mediterranean and Spanish dishes at Aliole. 3rd Half is the spot to enjoy classic dishes, American and International specials, and premium drinks as you watch sports and events on the giant screens or listen to live music. Get your caffeine and snack fix at the Constant Grind coffee shop. Nirvana and Oasis Pool Bars keep you topped up with cocktails, premium drinks, and gourmet snacks poolside. 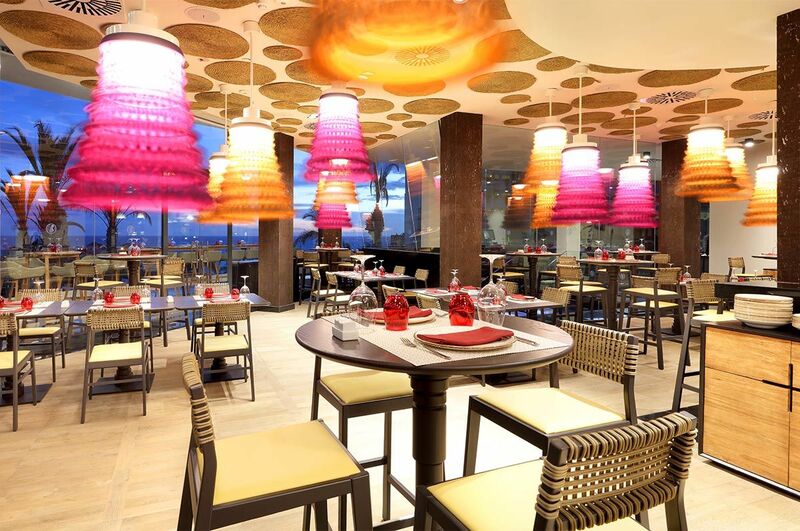 Relax with an aperitif, after-dinner drinks, or daytime refreshments at the UTC lobby bar and terrace. Visit The 16th sky rooftop lounge for stunning views, signature cocktails, and live music after dark. The evening entertainment programme includes mini disco, live music, in-house entertainment shows, and professional shows. There is also an open-air stage for DJ sessions, live concerts and gigs, and monthly themed party events.